To effectively manage the development and implementation of a product audit, service gap analysis and development of a series of itineraries, bundles and packages along the Royal Canal Greenway – due to launch in late 2018. To engage with the existing service and activity providers along the Royal Canal, make recommendations and provide advice as to how to harness the untapped recreational potential of this historic and yet unspoilt linear corridor, develop a product development audit and compile and create appropriate visitor servicing collateral. Engage with a series of capacity building workshops in Mullingar, Maynooth, Longford and Dublin which will promote the Royal Canal to members of the trade and local communities, gather information and to encourage members of the trade and other service providers to provide packages of provision in the area. Identify existing activities and services available along the Royal Canal. Identify gaps in the market for new enterprises to set up along the Royal Canal. 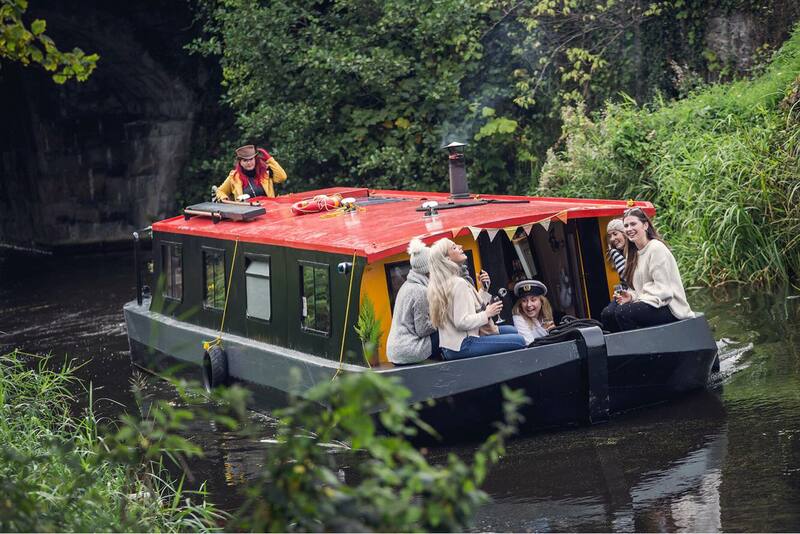 Develop a series of itineraries, bundles and packages along the Royal Canal which will advise people where to start, where to finish, where to stop and eat etc, and encourage increased dwell time in the area. Identify craft outlets, heritage attractions, and unique business opportunities, etc along the Royal Canal. Provide information and imagery to design and print a suite of brochures to highlight new and existing trails (ie looped walks, food trails, heritage trails, etc) for the Royal Canal. Engage in and follow up on capacity building workshops and closing event at a later date to review project progress and to show the local communities what packages have been developed and what information has been gathered to date. Make recommendations on how the knowledge and information base arrived at will be used to develop additional guides/trails in the future and highlight opportunities for new trails, products and services that can be added to the product offering. The Royal Canal Greenway Steering Group consists of the Tourism officers from the six County Councils along the Royal Canal (Longford, Westmeath, Meath, Kildare, Fingal and Dublin City), Fáilte Ireland and Waterways Ireland.